Bible Questions, Christian Theology, Misc. For this reason, critics of the Christian faith enjoy targeting the Bible. They believe that if they can demonstrate an error within the pages of Scripture, then they have sounded the death-knell of the Christian faith. Evangelicals who hold to an error-free Bible believe this to be true as well, and are often at the helm defending the objections as if the faith is dependent upon it. First of all; is the Bible inerrant (without errors)? Let me begin by saying that the word “inerrant” is not found anywhere in the Bible. The word does not appear in any context – with respect to anything. What is also important to note is that the Bible actually never defines itself. By that I mean that the Bible never tells us what books should be contained within its covers. (I’m not talking about the Table of Contents; that is put there by the editors.) What I am saying is that no writer of the Bible tells us what books should be grouped together to form what we call the Bible. Therefore, not only does the Bible lack the word inerrant in describing itself – it doesn’t even describe itself! So, my first point is to note that to call the Bible “inerrant” is to call it something that it does not call itself. I’m NOT saying that it a false construct, OR that the Bible contains errors, I’m only pointing out that the Bible does not make that claim for itself. I believe that this is an important point to make when dealing with critics of the Bible or Christianity. An example of how this could be understood is to take a look at the views of Dr. Bart Ehrman, Professor of Religious Studies at University of North Carolina. Ehrman makes a living from being a Bible critic. He has sold many books, and is widely popular as a speaker. I’ve read some of his works and have them in my library for reference. Although he used to be a Christian, I don’t believe he makes that claim now. I believe he would claim to be an agnostic – but I can’t speak for him. Ehrman claims that one day while reading Mark chapter 2, he discovered an error. As he struggled with the passage he eventually came to the conclusion that the passage was simply wrong. Since that day he has made many discoveries of what he considers to be of the same type. As a result, he departed the faith. Ehrman believes that since the Bible contains so many errors it simply cannot be the inspired Word of God, and is therefore unreliable. I believe Ehrman has made two wrong conclusions based on poor suppositions: 1) He concluded that an error in the Bible meant that it cannot be God’s Word, and, 2) He concluded that the Christian faith, being based on the Bible, is not a reliable faith. Both, I believe, are poor observations. Let’s first take a look at the supposition of # 2: The Christian faith is based on the Bible. The New Testament portion of the Bible was not formally put together until around 397 AD, at the Council of Carthage. That means for over 350 years the Christian faith was alive and growing without a formally recognized New Testament. That’s a long time to go without a Bible! If the Christian faith depended upon the Bible to exist than the Church should not have survived those years. Furthermore, the Church that is described in the book of Acts (the Church that almost all Christians recognize as the purest) had NO New Testament at all! Even to this day there are Christians in some parts of the world who have only seen pieces of the New Testament; yet we would not doubt their faith. Men of Israel, hear these words: Jesus of Nazareth, a Man attested by God to you by miracles, wonders, and signs which God did through Him in your midst, as you yourselves also know–Him, being delivered by the determined purpose and foreknowledge of God, you have taken by lawless hands, have crucified, and put to death; whom God raised up, having loosed the pains of death, because it was not possible that He should be held by it….This Jesus God has raised up, of which we are all witnesses. For Peter – as the rest of the NT writers – the basis of the Christian faith is the resurrection of Jesus. Peter said nothing of the inspiration (let alone the inerrancy) of scripture! If he had made a claim that our faith was based on an error-free Bible, then Ehrman would have a point. But Peter did not; and so Ehrman does not. No one ever based the Christian faith – or the life of the Church – on an error-free Bible! Instead, our faith – just like the faith of the early Church – is based upon the fact of the resurrection of Jesus. 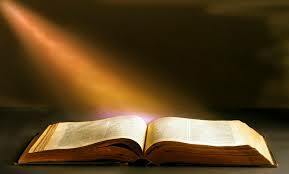 Therefore, I believe it is wrong to conclude that the Christian faith is based upon an inerrant Bible. But what about the first apparent conclusion of Ehrman: A Biblical error would mean that the Bible is not God’s word? Well, take a close look at the four Gospels: Matthew, Mark, Luke & John. The four authors responsible for these books never once claimed to be inspired or error-free. If anything, they only claimed to be writing the truth (see Luke 1:1-4 & John 21:24). That is an important difference. Let me explain it this way: Let’s say you are asked to give testimony in a court regarding a vehicle accident that you witnessed. You take an oath to tell the truth and then sit down to be examined before the judge. During your testimony you give a truthful account of what you recall. However, you told the judge that the accident happened on June 19th, when in fact it happened on June 17th. Does that mean that the accident did not occur? Does it mean that the two vehicles involved never came in contact? Would it mean that everything you said must be disregarded because you mistakenly provided the wrong date? Not at all. Any reasonable person would consider your testimony valid, unless proven otherwise unreliable. A mistake in testimony does not invalidate the testimony. Only a lie would do that. So why not apply the same reasonableness to the Scriptures? Why not give it the same benefit of the doubt that we would any historical document written by people who claim they are telling the truth? I’ve looked at many of the “mistakes” that folks like Ehrman have claimed to have discovered. Admittedly, some of those passages are hard to work through. Most can very easily be answered without assuming an error was made. Some require a little deeper digging, and a few are still hard to explain. But even if it can be demonstrated that the writer made an error, I find no good reason to throw out his entire testimony. I’ve been reading the Bible for over 30 years now. I have discovered problem passages, and seemingly contradicting information. I have yet to discover an error. But, even if I did, my faith would not be shaken because it rests not on an error-free Bible but on the fact of the resurrection of Jesus. So, the next time someone criticizes your Bible, get them to look at the resurrection of Jesus – that’s where your faith should rest anyway. Posted in Bible Questions, Christian Theology, Misc.